This story about Toyota building a hydrogen facility in California was first published by Gas2. Toyota of North America announced at the Los Angeles Auto Show on November 30 that is it constructing the world’s first megawatt-scale carbonate fuel cell power generation plant with a hydrogen fueling station in Southern California. Called the Tri-Gen facility, it will use California-sourced agricultural waste to generate water, electricity, and hydrogen. 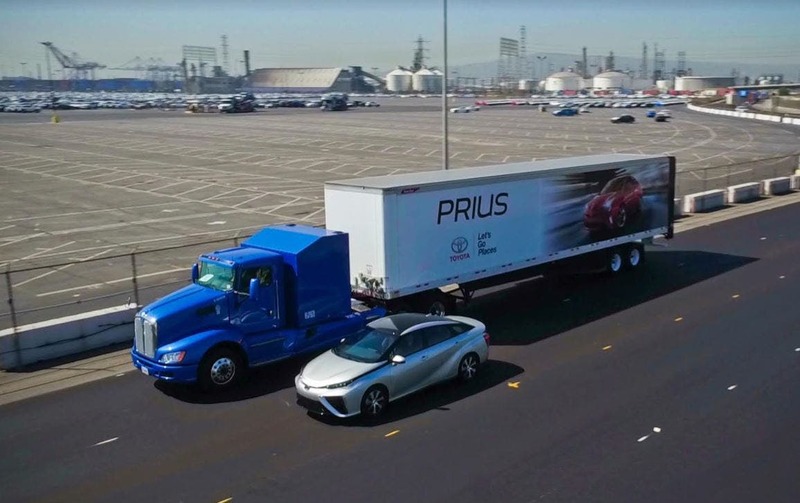 It will supply all Toyota fuel cell vehicles moving through the Port, including the Mirai sedan and Toyota’s heavy duty hydrogen fuel cell class 8 truck, known as Project Portal. Toyota has also built one of the largest hydrogen fueling stations in the world onsite to support refueling operations.